VATICAN CITY (CNS) — Being a Christian does not mean life will be just a big endless party, Pope Francis said. 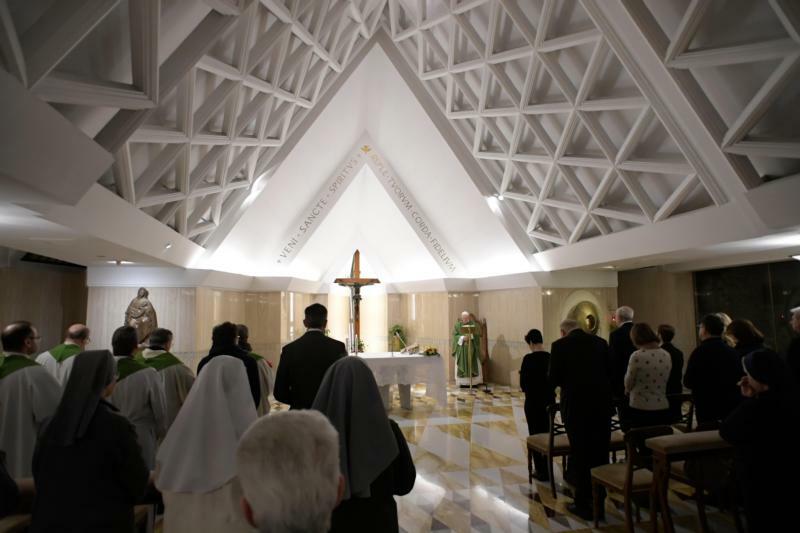 There will be good times and bad as well as moments of isolation, anguish or confusion, the pope said in his homily Feb. 1 during morning Mass at the Domus Sanctae Marthae. Being a Christian, he said, means having encountered Jesus, feeling his love and choosing to believe in his hope and promise. Pope Francis said: “Christian life is not a carnival, it is not a party and nonstop happiness. Christian life has its really beautiful and terrible moments,” moments when things seem fine and moments that are bleak and where nothing makes sense. The day’s reading explains what is needed to endure and overcome these difficult moments: memory and hope, the pope said. One needs to remember those “happy days of encounter with the Lord” and those moments of love, he said, and find consolation in the Lord’s promise. Christian martyrs from today and throughout history possessed this courageous perseverance, he said. “So many men and women are suffering for the faith, but they remember their first encounter with God, they have hope and they move forward,” he said. This is what is needed in times of persecution and “when the devil attacks us with temptation,” he said. “Always look to the Lord,” he said. Persevere with one’s own cross, remember God’s love and go on with hope, ready to receive what he has promised. NEXT: Bread and wine, or body and blood of Christ?